Jeremy has worked for South Western Ambulance since 1984 back in the days when it was Cornwall Ambulance Service. Since that time he has been very fortunate to have a varied and interesting medical and rescue career. He has been a lifeboat crewman, part of HM Coastguards cliff rescue team and worked for a ski resort as the rescue director which encompasses a role as a winch man on a helicopter rescue team in British Columbia. 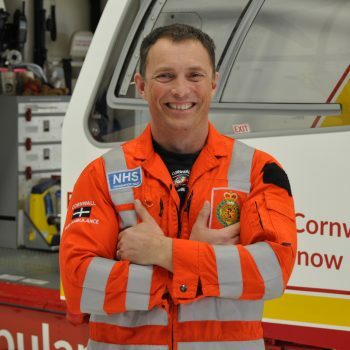 However, he maintains the highlight of his service has been as a Critical Care Paramedic with the Cornwall Air Ambulance. Recently Jeremy has completed SWAST’s Specialist Paramedic in Critical Care passport accompanied by a critical care master’s degree. He has found this to be a real challenge but very rewarding. Away from work, he lives with his wife Tracey and dog Jessie. He surfs and skis (in the winter) and walks along the Cornish beaches as often as possible. Jeremy also attempts to assist Tracey with their business, he says unsuccessfully most of the time. 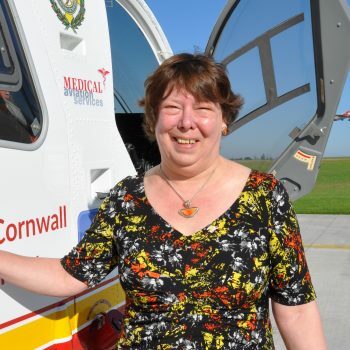 Jill first came across Cornwall Air Ambulance when she attended a talk about the charity’s work. 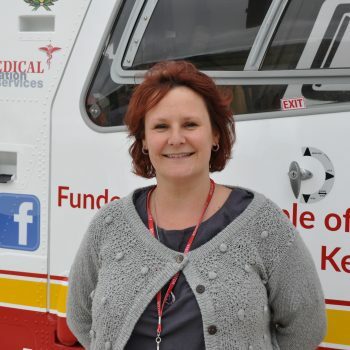 She decided to become a volunteer and in her volunteering days covered nearly every role at HQ. Being a volunteer gave her a brand new social network, friends and a chance to get back to work having not worked for a while. Today Jill is a full time member of staff. She takes care of the ledgers, bank reconciliations and retail accounts, and it’s well known that she likes to get to grips with paperwork! 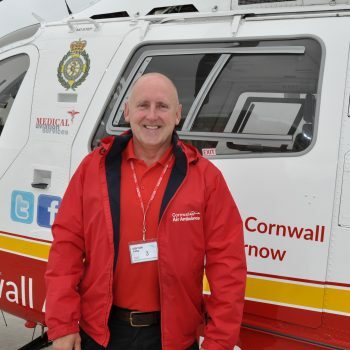 Joe started working for Cornwall Air Ambulance in May 2017 as the charity's Retail Area Manager, managing all of the charity shops operations and staff. Originally from London, Joe moved to Cornwall 12 years ago. She has extensive experience in retail and has been the Retail Area Manager for several big name brands including Animal for 5 years, Levi's for 4 years as well as Ann's Cottage and Debenhams to name a few. 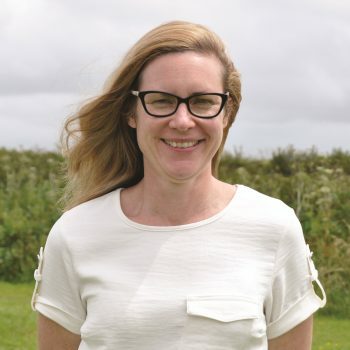 Joe lives near Newquay and spends most of her free time enjoying beautiful Cornwall with her partner and 2 year old son. John Gallagher is the Shop Manager at our St Austell store. He has lived in Cornwall for over 30 years. 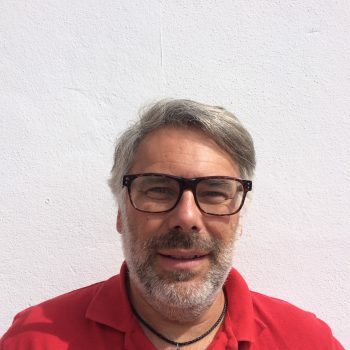 John joined the charity in January 2018 following an extensive career in retail management within the Dixons Group and latterly as a business and enterprise manager for the National Trust. John and his team of staff and volunteers are moving forward with a program of exciting redevelopment at the superstore. In his spare time John and his fiancée, Emma, are undertaking a camper van conversion and have plans for extensive travels in the future. Jonathan works for Cornwall Council within the Public Protection service. However he is also a volunteer fundraiser for a number of Cornish charities and organisations. He has, so far, raised over £165,000 for these organisations. 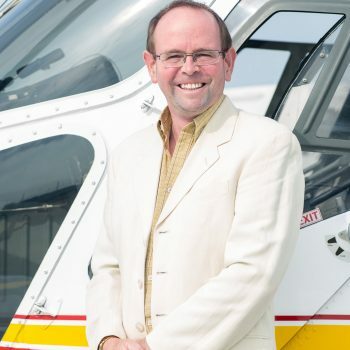 Jonathan has been a keen advocate for the Cornwall Air Ambulance for a number of years, and as he rides horses feels passionately that the new air ambulance must be delivered in 2020. Jonathan is also a Justice of the Peace and Chairman of St Allen Parish Council. In his spare time he enjoys gardening and the countryside. Julia has been working in retail for more than 20 years and changed to charity shops in 2013. She loves the variety that working in a charity shop gives her as she never knows what’s going to come through the door from one day to the next. As an avid charity shop shopper Julia loves a bargain and can’t wait to get new stock out for our customer so they can get one too. She spends her free time running her two teenage boy around to various club and events. Julia is a keen reader and doesn’t go anywhere without a book in her bag. She also has two dogs that are a constant source of amusement as they both have very naughty characters.